I love pens! All shapes, sizes and colors. I used to collect pens and spend a lot of time choosing just the right one for my note writing! 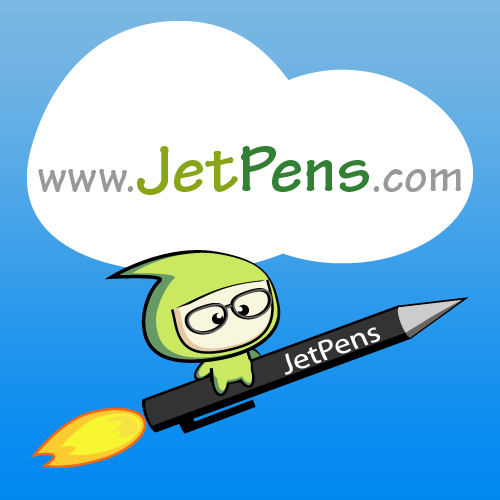 Jet Pens is a toy store for pen lovers. Did you even know there were this many types of pens and pencils? 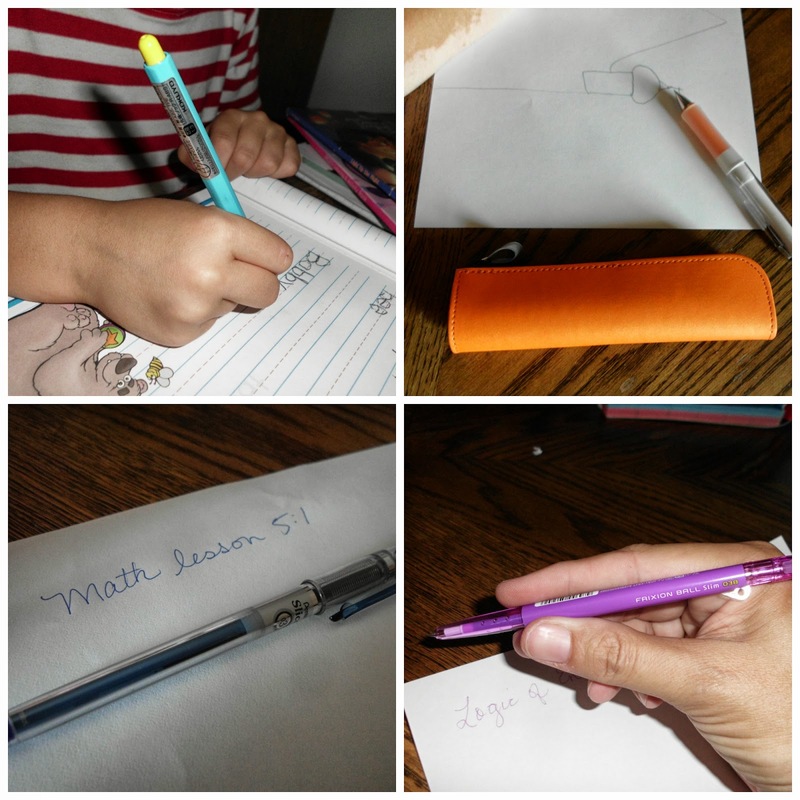 We reviewed 2 pens and 2 pencils and an awesome pencil case. 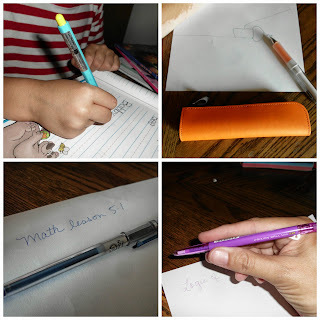 The Kokuyo Campus Junior Mechanical pencil was perfect for my 6 year old. It was the perfect size for his hands, and the led didn't break off like it does on other mechanical pencils. The Pilot Dr. Grip was my dream mechanical pencil. It is a shaker pencil so no need to do is shake the pencil and the led will extend itself. This pencil feels fantastic and is ergonomic and has a nice padded grip to hold. Dr. Grip pencils are a top selling line through out the US and Asia. Thanks to Jet Pens, this line from Japan is now available to us in the US more readily. The Kokuyo Pencil Case matches perfectly and keeps your pencil safe and easy to find in your bag or drawer. The Pilot FriXion Ball Slim Gel pen is a smooth writing pen in a nice thin case. The color of the case corresponds with the ink. FriXion ink is a thermosensitive ink that can be erased by rubbing. To erase, use the special rubber “eraser” tip at the top of the pen and watch the ink cleanly disappear. How cool is that! With a .38 tip this pen is able to make notes in the smallest of margins. Great for text books and note taking where you need a very fine tip. The Pentel Slicci Gel Ink Pen has a fine tip as well and comes in many colors. For just $3.30 each you can collect the entire rainbow. I love the smoothness of this pen and the gorgeous rich color. These 5 items barely scratch the surface of what Jet Pens carries! Be sure to check them out, pens make excellent stocking stuffers and gifts. Hi! I am know that jet pen facilities such as clear writing, excellent colors, size. I want to know more about custom pen. Promotional Pens You've found the best promotional pens made in the USA. These custom pens are the best ideas for promotional product pens because you are not just getting cheap promotional pens, you are getting printed promotional pens with your logo. You can get these promotional pens printed with business logo or promote your brand with any design of your choice for unique custom pens. These low cost promotional pens make great personalized business gift ideas. Custom pens is a great way to stand out.